Students learn about some of the adaptations animals on the rock platform require to be able to survive in such a changeable environment. These changes are based on the predictable phenomena on the Earth, including day and night, seasons and tides which are caused by the relative positions of the sun, the Earth and the moon. Students work in small groups with scientific equipment to gather data relating to variations in temperature, salinity and pH levels in two zones on the rockplatform. Distribution and abundance of animals is estimated using quadrats and ID charts in these zones. These animals are then investigated, considering how they respond to changes in their environment. A local producer is studied in detail and students get a chance to capture and study a marine animal. We conclude the day by drawing a food web considering how energy flows from producers to the highest level consumers. Students learn about some of the adaptations of plants and animals in the wetland ecosystem require to be able to survive in such a changeable environment. These changes are based on the predictable phenomena on the Earth, including day and night, seasons and tides which are caused by the relative positions of the sun, the Earth and the moon. Students work in small groups with scientific equipment to gather data relating to variations in temperature and salinity levels in the sand dunes, mangroves and sea grass. Producers from the mangrove and seagrass ecosystems are studied in detail to analyse how changes in the ecosystem are responded to by populations and/or communities. We conclude the day by drawing a food web considering how energy flows from producers to the highest level consumers. Students will examine cycles in nature and the influence of abiotic factors such as aspect and soil moisture on tree growth. The role of decomposers will be examined through a leaf litter study. 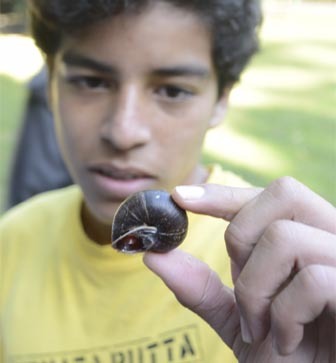 Students will identify and count the different species they find using a handlens to observe the smaller organisms. Human impact on the ecosystem will be studied by measuring the levels of water pollution using turbidity tubes, soil & water pH kits and catching water animals to use as indicator species. Students will examine plants in the open forest and the rainforest, looking at their adaptations and the environmental conditions found in each location, including soil moisture and foliage cover. Rainforest trees will be identified using a key. A rainforest animal will be studied in detail, following an animal catch of common leaf litter and terrestrial organisms. The role of decomposers will be examined through a leaf litter study. Students will identify and count the different species they find using a hand lens to observe the smaller organisms.